We are so close to breaking ground, we can taste it! Our members are selling their current homes, having garage sales, donating extra things, and talking to the banks. With breaking ground only weeks away many people are downsizing, perfecting their floorplans, and pinning their “must-haves” on Pinterest! Since our last Community Steps blog, many exciting things have happened for our neighborhood thanks to the very hard work of our Building committee chaired by member, Miranda Castro, our civil engineer, Alison Fetner, and our architect and member, Andy Kaplan. If you follow us on Facebook, you probably saw that Gainesville’s city commission gave us an overwhelming yes to move forward with our plans. 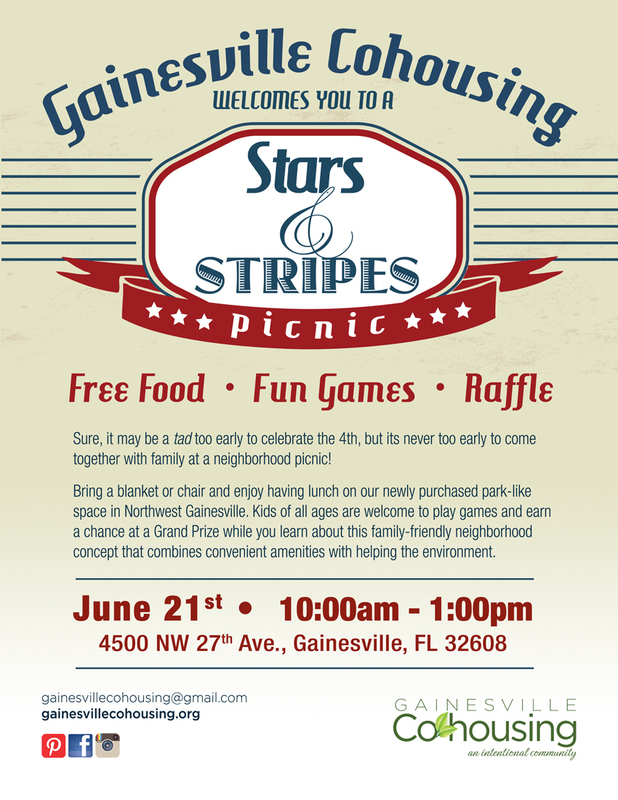 The mayor and commissioners voiced their excitement for Gainesville to be the first city in Florida with a cohousing community. We have now submitted our construction plans to the city’s planning department for review and we are sending out bids for our infrastructure to get started! 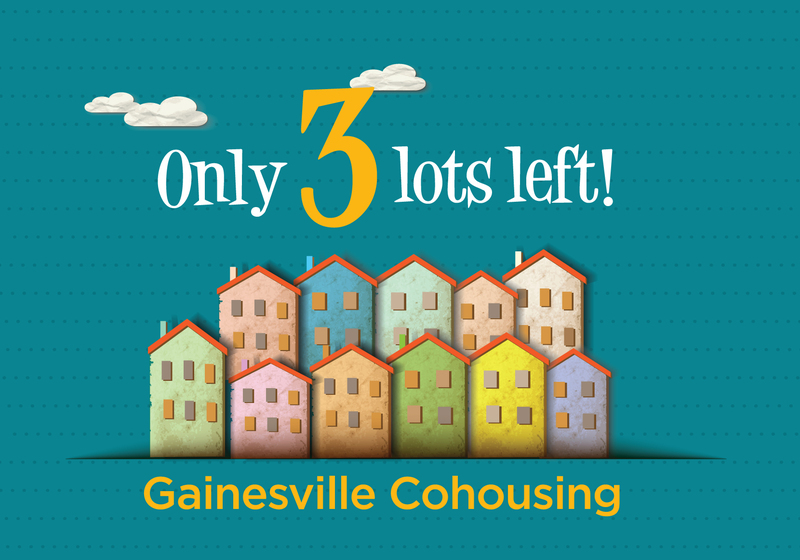 Gainesville Cohousing is growing so fast that we only have 3 lots left! These lots are perfect for young families who want to have a pool and playground, live in an excellent school zone, and be within walking distance to restaurants and shopping. If you have been following our project and have been interested in joining, now is the time! You will be able to work with our architect to design a home that is right for your family, meet your neighbors, and help us with important decisions that will make all of our lives happier and healthier. Next story Happy 5th Birthday, Gainesville Cohousing!